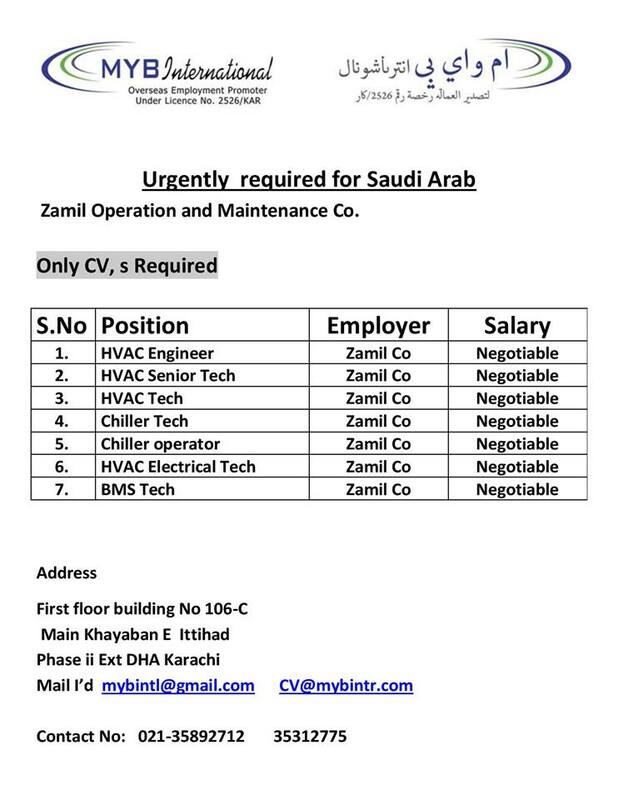 Zamil Operation and Maintenance Co. Saudi Arabia. Submit Your Applications before the Closing Date of the Job Advertisement. All Jobs Ads Provides by Latest Career Pk are Purely Collected from Pakistan Leading Newspapers Such as Jang, Express, Dawn, AAJ, Nawaiwqat, The News, The Nation and Mashriq. Latest Career Pk is not Responsible for any Fake or Genuineness, Misprinting, Incorrect and Misleading of Advertisements.